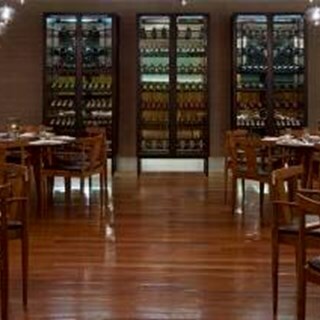 Durbri is an award winning modern Indian contemporary restaurant, place for good food and great ambience. At Durbari, the modern meets old world décor creates a cozy yet luxurious ambience. Conceived after six months of extensive travel and food tastings across the country, the comprehensive menu offer displays the vast culinary heritage of India on a platter, known for its own signature dishes along with great selection of scotches and single malts, selective old and new world wines. Good place. Quiet and prompt helpful service. People are good. Great food and excellent ambiance. Badamke chaap and naali roganjosh were awesome. The service left a lot to be desired. A very mediocre experience. Good service. Courteous staff. Food is good and portions are big.